The North American kyphoplasty market, which covers Canada, Mexico and the US, is set to rise from $538.1 million in 2016 to around $1.1 billion by 2023, representing a compound annual growth rate of 11.1%, according to GlobalData, a recognized leader in providing business information and analytics. 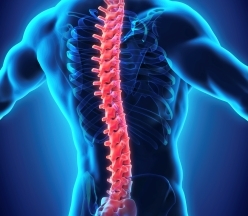 The company’s latest report states that kyphoplasty is a minimally invasive, fluoroscopy-guided surgical technique involving the injection of acrylic cement into damaged vertebral bodies in order to stabilize fractures. Drivers of the market include the rising prevalence of osteoporosis and osteopenia due to the increasing aging population, and the growing preference for minimally invasive and outpatient procedures. Jennifer Ryan, Healthcare Analyst for GlobalData, explains: “The growing global aging population is bringing a unique set of health concerns to the forefront of medicine, including the increasing prevalence of osteoporosis. Osteoporotic fractures such as vertebral compression fractures (VCF) are incredibly common and often heal on their own. However, for patients with lingering symptoms, medical intervention is necessary. “Adoption of kyphoplasty is expected to grow throughout the forecast period as hospitals and healthcare providers make a shift towards cost-saving outpatient and minimally invasive surgical procedures. The market for VCF repair products, which includes kyphoplasty balloons and kits, is highly consolidated. Together, three orthopedic conglomerates – DePuy Synthes, Medtronic, and Stryker – dominated the global market in 2016. These companies hold well-established orthopedic portfolios and enjoy wide-ranging distribution networks, which allow them to effectively cross-sell their VCF products. Several minor players also operate in regional markets, and domestic manufacturers of cheap copycat products are a threat in developing countries. – Information based on GlobalData’s report: MediPoint: Kyphoplasty Devices – North America Analysis and Market Forecasts.